 Join the Maine Council for English Language Arts, Wesley McNair and Gibson Fay-LeBlanc to officially debut the website poetryinschools.mainewriters.org, demonstrate how it might be used in the classroom, and talk with teachers about engaging with secondary students who are writing poems, spoken word pieces, and hip-hop lyrics. During his five-year term as Maine’s Poet Laureate, Wesley McNair collaborated with Portland Poet Laureate Gibson Fay-LeBlanc and a group of poets, spoken word performers, and hip-hop artists on a multi-year project to provide secondary teachers with more resources for teaching poetry. The result of that project is a dynamic website that provides inspirational and instructional videos as well as writing prompts, workshop ideas, and guiding principles for teachers and young writers. Cost $10: includes dinner, resources, and 2 professional contact hours. Space is limited to 40 participants. Register ONLINE now! Wesley McNair has won grants from the Fulbright and Guggenheim foundations, two Rockefeller Fellowships, and two NEA grants in creative writing. His many literary awards include the Theodore Roethke Prize and an Emmy Award as scriptwriter for a PBS series on Robert Frost. He has twice been invited to read his poetry by the Library of Congress and served five times on the jury for the Pulitzer Prize in Poetry. Recently selected for a United States Artists Fellowship, he was the recipient of the 2015 PEN New England Award for Literary Excellence, given for his collection The Lost Child. McNair founded and directed the BFA in writing program at the University of Maine at Farmington and is now Emeritus Professor and Writer-in-Residence at UMF. Gibson Fay-LeBlanc is a writer, teacher, and nonprofit leader. His first collection of poems, Death of a Ventriloquist, won the Vassar Miller Prize, received a starred review from Publishers Weekly and was featured by Poets & Writers as one of a dozen debut collections to watch. His poems have appeared in magazines including Guernica, The New Republic, and Tin House, on the PBS NewsHour Art Beat, and recently in jubilat, Slice, FIELD, and The Literary Review. He has taught writing at conferences, schools and universities around the country and including Columbia University, Haystack, the University of Southern Maine, and at the Telling Room, which he directed for five years. He currently serves as Portland’s Poet Laureate.